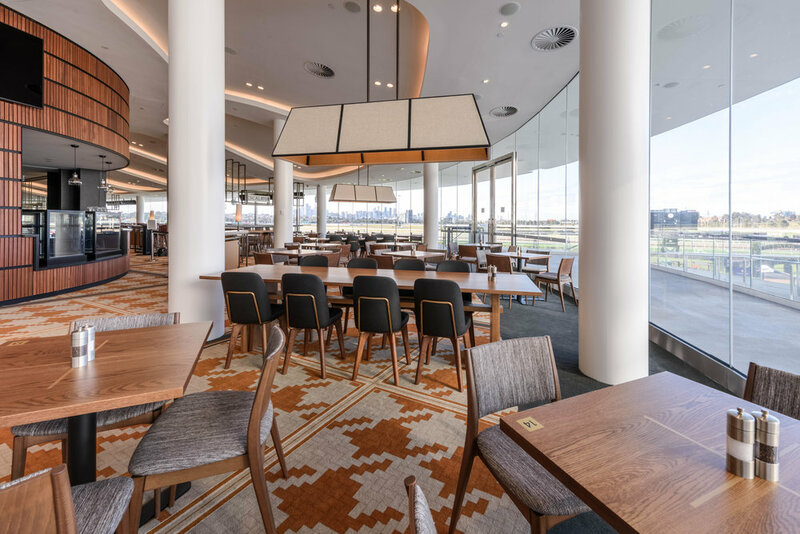 The Members Bar provides a rich and classic setting for VRC members to appreciate the storied past of Flemington’s social and sporting culture. 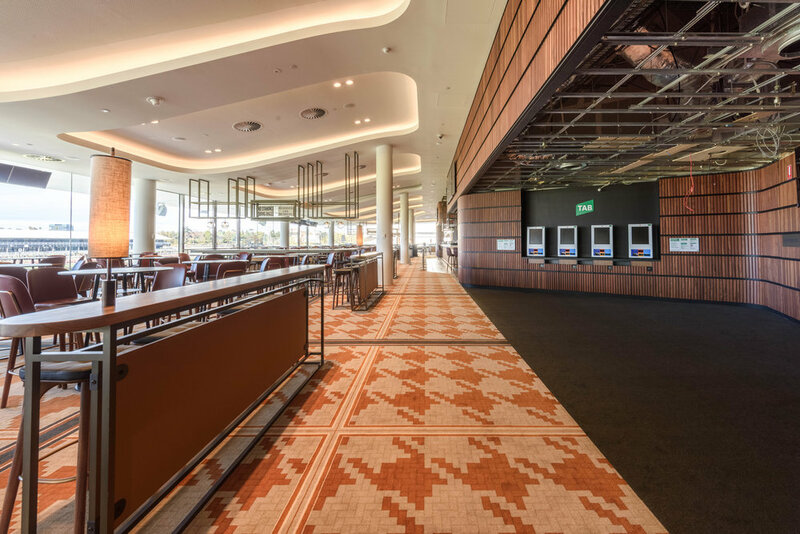 Paying homage to the Old Members Grandstand, the bar incorporates original racecourse signs, spatially framed by hanging Art Deco brass. 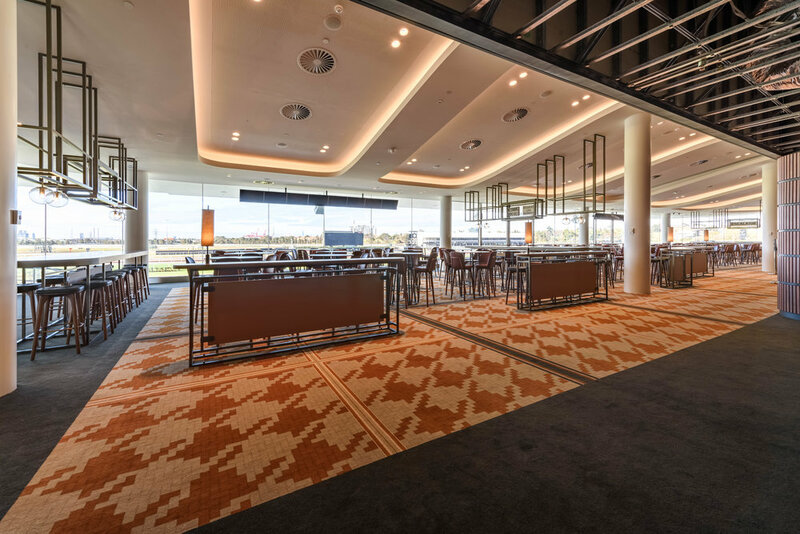 The rich tobacco and burgundy colour scheme and warm custom timber panelling combine to create spaces reminiscent and appreciative of VRC’s history. 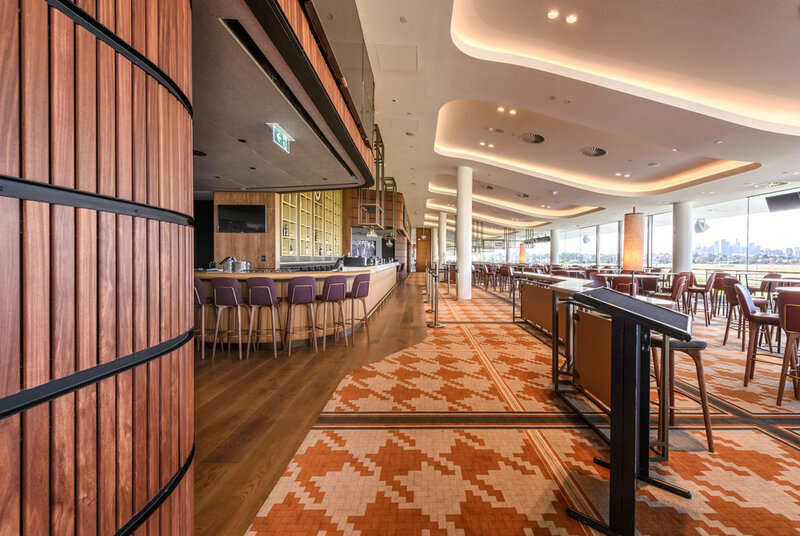 The carpet, a combination of 1960s hounds tooth and classic bordered stripes, divides the room and sets the tone for the classic pub style warmth the bar exudes. The space has been imbued with the memory of the old heritage stand in a respect that will extend its lifetime long into the future.